Hardcover, 9.75 x 13.25 in. / 50 pgs / illustrated throughout. Edited by Begum Yasar. Text by Courtney J. Martin. Poetry by Anne Waldman, Pat Steir. Interview by Sylvère Lotringer. 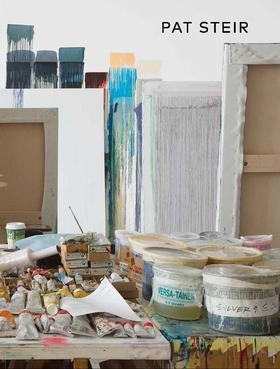 The most recent series by New York–based painter Pat Steir (born 1940) evolved out of her seminal Waterfall paintings, created by pouring, throwing or dragging pigment across her canvases. The book offers an intimate introduction to the Kairos series and includes essays, Steir’s poems, an artist interview and illustrated chronology. FORMAT: Hbk, 9.75 x 13.25 in. / 50 pgs / illustrated throughout.